Today on the Doc On The Run Podcast we’re talking with legendary orthopedic surgeon Kevin Stone about runner’s knee and knee preservation strategies for runners. Dr. Segler: Normally I give a brief introduction of our guest. Frankly, I usually find it pretty easy to come up with a brief description of someone’s accomplishments. Although many of our guests have some incredible accomplishments, that list is usually pretty short. But that’s not the case with Dr. Stone. We could truthfully use the entire time normally allotted into the podcast just reading his list of patented surgical devices, advances in orthopedic surgical technique and ongoing research and advances of Orthopaedic knee surgery. As a grossly abbreviated introduction I will simply say that Dr. Stone completed medical and surgical training at both Harvard and Stanford University and then went on to additional fellowship training and further specialization in knee surgery directly under the founder of the world famous Steadman Clinic. 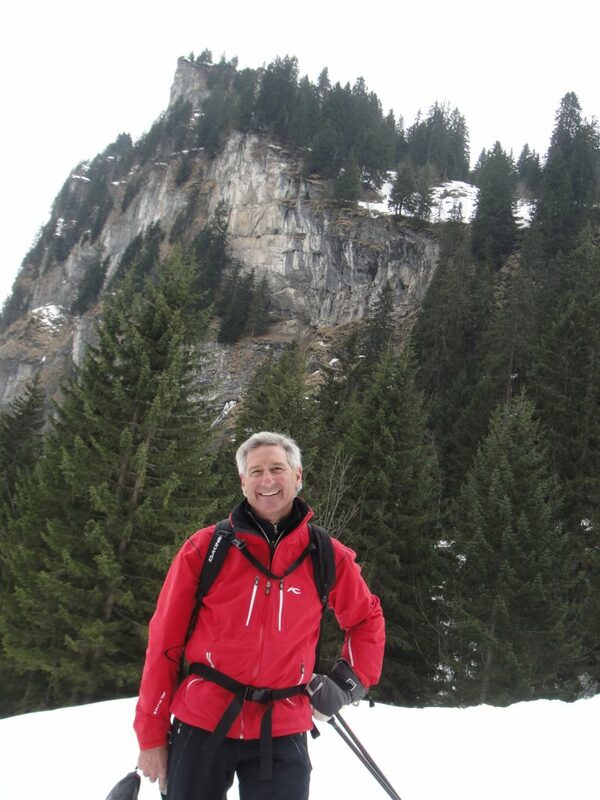 All that experience alone would make him one of the world’s best rated knee surgeons. But that was only Dr. Stone’s start in the specific area of knee surgery. 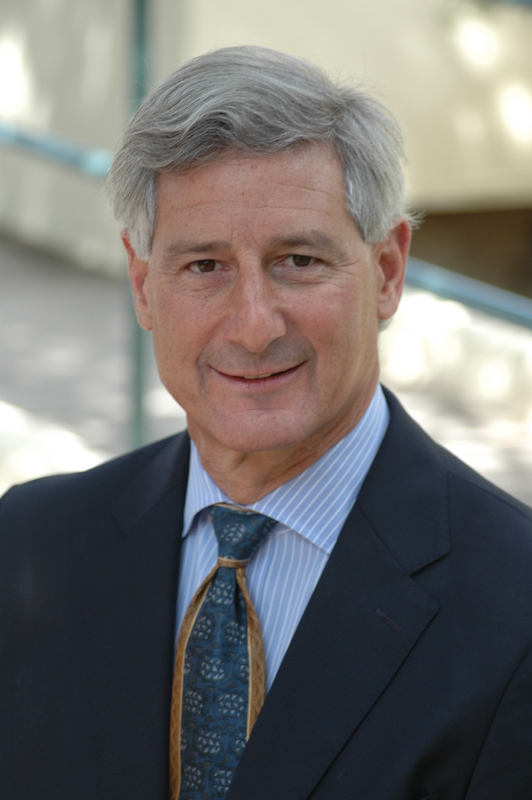 Dr. Stone has developed and patented dozens of medical devices and surgical techniques. He’s also been actively involved in orthopedic biomedical research and published dozens of studies relate to knee surgery in a variety of period review medical journals. Because he has such a high level of expertise and experience, particularly in the realm of knee surgery, he gets invited to travel to medical conferences all over the world to teach other orthopedic surgeons the specifics of his joint preservation research and knee surgery techniques. Not surprisingly, athletes travel from all over the world to see Dr. Stone when they need knee surgery. One of the primary reasons I really wanted to have Dr. Stone on the show is because I believe he is focused on preserving the natural biology of a joint, preserving normal anatomy and helping athletes return to sports stronger than ever, even after they’ve been injured. So with that Dr. Stone, welcome to the show! Dr. Stone: Good to be here! Dr. Segler: I’m glad you’re here today. I’m just hoping that we can share a little bit of your unique philosophy about maintaining healthy knees with all of the runners in our audience. Before we get started on the topics of specific techniques and questions, maybe you could just give us a brief background on your philosophy of helping athletes heal. They need to have a good head about them and not get depressed about the injury. My patients who buy into that do well. Again, I like them to see themselves as an athlete in training and not a patient in rehab. Even though they’re going to be We are better surgeons and therapistsin rehab, especially if we have to operate on them. But that attitude about being an athlete in training, no matter where you are in your injury and recovery road, it’s just so important. It’s what keeps all of us who love to exercise everyday healthy and happy. It keeps the good endorphins and testosterone and adrenaline and circulating, helping us heal faster and heal with less scar and heal with less deficits by incorporating those thoughts. Dr. Segler: Interesting! It seems a much more holistic approach that you take. It really is an opportunity not just an injury and that’s difficult. But most doctor seem to want to prescribe rest, above all else. Granted sometimes rest is necessary. Rest is necessary for us to get stronger after we train. But there’s this myth that you need to rest to get better. One of the things I often hear from patients when they call me for a second opinion is they’ve actually not been getting better when they followed the prescribed regimen of rest. When I lecture to groups of physicians I often hear doctors also say that runners should stop running., because they just need to rest. But I don’t think rest is everything, I think activity is crucial. I think part of the success I have with my patients lies in helping runners to maintain as much activity as possible while they are healing. Maybe you could just expand a little bit on that idea and help our listeners understand why they should be suspicious when a doctor tells an injured runner that rest (or even ceasing an athletic activity altogether) is a “treatment plan” or some sort of prescription for health. What do you think about strict rest as a plan? Dr. Stone: Well thanks for quoting that section. I put careful thought and time into writing that as I wanted to get the right imagery for you. I know that every athlete can relate to that feeling of stewing in their own juices. So when you’re told to rest, what I would like you to hear is that you’re being told to have active rest. There’s an amount of rest that the injured joint or tissue might need to have for instance. But during that healing period, there’s almost always a need to train the rest of the body and usually, at least gently, move the part that is injured. The reason for that is that almost all injured tissues do better and have less scar formation and when a little bit of stress is provided to the tissue that is trying to heal. Let me explain that, so if you think about a ligament and often if you clasp your hands together and bring them apart your fingers together and bring apart a little bit, we often will call that a grade 1 strain, where there’s very little distortion to the collagen fibers that make up that ligament. If you pull your fingers halfway apart, we often all call that a grade 2 strain where the ligaments are partially stretched out or torn but not completely disrupted and if you pull them all the way apart, we call that a grade 3 where it is completely separated. Now what happens when you have an injury is the body cells, the blood cells and other cells rush to that site of injury and start the process of removing the torn, dead tissue, removing the inflammation, the fluid that is leaked out from the result of the tear and the bleeding and starting to lay down new collagen and permit that ligament, in this case, or tendon, to heal. If you provide just a little bit of motion and stress while the new collagen is being laid down, that collagen will lay down fibers in line with your fingers or in line with the stress that is applied. And so that the new ligament, the newly healed tissue will be healed with strong well aligned collagen fibers. If you immobilize it, put it in a cast or splint to have complete rest, unfortunately that laying down of collagen fibers is often disorganized. That’s what we see as scar. Then when you come out of that cast or brace, you’ve got to spend weeks or months stretching out that tissue and trying to get the body to remodel it back to normal in-line fibers. We are better surgeons and therapists if we can figure out how to guide you, the injured patient, to provide just the right amount of stress to that healing tissue. One of the great ways to do that is good soft tissue massage. Most of us work with great physical therapists and folks who are really expert in using their hands in massaging the tissue and mobilizing the tissue. What are we doing when you lay fingers on the injured tissue? You’re getting rid of swelling, and swelling inhibits healing. The cells that are there all have mechanoreceptors on their surfaces (meaning they respond to pressure) and when a physical therapist massages that tissue, you stimulate those mechanoreceptors to lay down new collagen, to lay down collagenase and break down scar tissue. That’s how massage therapy works so well, especially when done by very well trained therapist. We’re doing a very careful sort of what I call active rest, where we are mobilizing those tissues that are injured, to permit them to heal the strongest way. Now, for the rest of your body of course, there’s almost no injury that I can think of where I can’t find a creative way to keep a runner running. Running may mean running in a pool. Running may mean lying on their back and doing a running motion. Running may mean a whole host of creative ways to protect the injured part, while still moving the rest of the body in a running simulation motion. Most of us who have had impact injuries have found certain devices which can help. Elliptical machines that you can take out on the road as a very clever substitute for running while healing an impact injury. There’s a hundred different ways to keep a runner running and there’s a hundred different ways, maybe a thousand different ways to keep an injured tissue healing and being gently mobilized to heal in the strongest possible way. That’s what we mean by looking at yourself as an athlete in training. By using the good counsel of a very good physician who sees that there is a degree of rest that helps. But there is a degree of creativity and actively treating those tissues that really helps quite a bit, too. Dr. Segler: I think it is extremely helpful for people to understand that you have to be creative. It depends on who your doctor is. It depends on who you are seeing, about how creative they’re going to be. One of the great things about our healthcare system in the United States is that we very highly specialized, well-trained physicians. One of the problems with our training system is that we end up with highly specialized physicians. Sometimes it seems like some of those doctors really only focus on one body part, or one system. So their lens is often narrow when viewing the athlete with an injury. A runner doesn’t run with one foot. The runner runs with the entire body. I know you have this idea and unique approach when you talk about the whole person who is healing which you term “Whole Person Healing.” How does that approach differ from the more conventional American orthopedic surgical ideology? Dr. Stone: Well, first of all, in some senses we’re drug pushers. Let me say that a nice way. What we’re pushing is testosterone, endorphins, adrenaline, all the things that are released when we exercise and make us feel good and help our muscles build, help our bones become more stable and stronger. What we’re doing when we are exercising, one of the wonderful things we are doing, is releasing all of those things. We as a physician, in trying to help someone heal, one of jobs is to figure out how do we get them to have that same lovely endorphin rush that has all those things that help you feel better and your tissues to heal better. So part of being the whole patient – physician or surgeon is that creativity of saying “Okay, here’s tissues, here’s the parameters of healing, here’s how much time it’s going to take, here’s the things we can do to accelerate your healing and now we are using lots of growth factors and stem cells to do that,” but in general you’ve got to combine with your athlete’s head first and you’ve got to figure out how in this whole rehab process to get those good things on your side. We have to get those active chemicals, almost like a drug pusher, to try to get those things going in a good way. That’s how you get a whole athlete the heal. Dr. Segler: Well that is a different approach! I know that you have been working on this approach for a very long time and you have made a number of different advancements in knee surgery in particular. You have always talked about the “biologic knee replacement” and how this can help runners. What is a “biologic knee replacement” in terms of helping runners stay active? 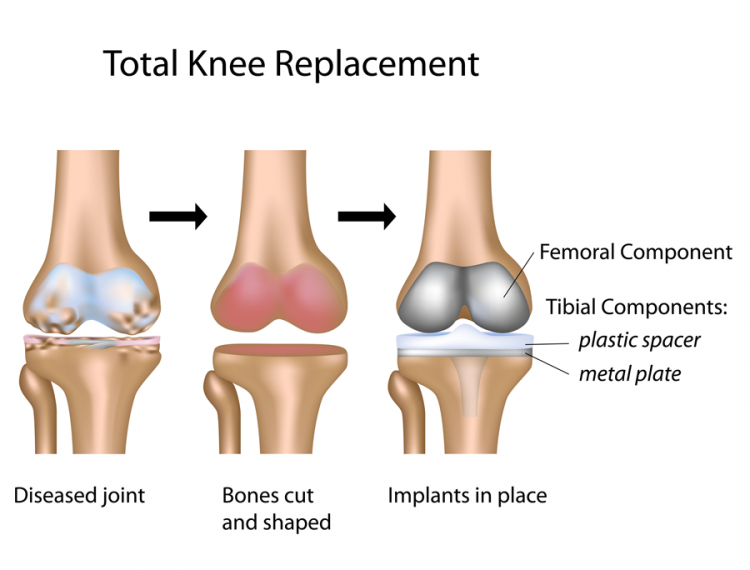 How does a biologic knee replacement differ from the conventional knee replacement surgery in terms of technique and structure? the runner has never been hurt. the runner who gets a cartilage injury or any injuries, the soft tissues inside the knee. And so let’s look at all of them. Number one, running does not injure knees. You get injured if you have an error in training, a step-off, an activity, something that happens that injures you. 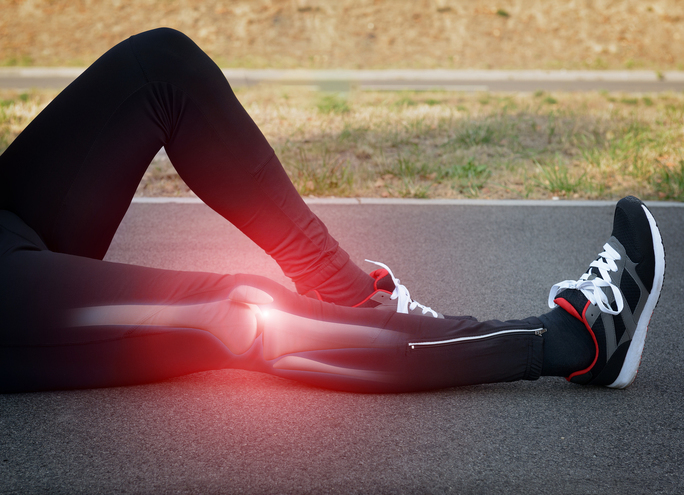 If you have an injury in the knees, such as cartilage tear or an articular cartilage bearing surface of the cartilage injury, then running and impact on that joint can and does cause further damage. So the job of those of us interested in biologic joint repair is to encourage people to make a very early diagnosis of a joint injury. If a meniscus is torn, if the articular cartilage is damaged, it is our job to figure out ways to treat and to repair, regenerate or replace those injured tissues right away before arthritis sets in. So that’s the whole biologic joint replacement, a program that we’ve been working on now for so long and what we found is that most the tissues that we used to think were not repairable, are in fact repairable. For the meniscus cartilage, the shock absorber in the knee, many of the tears can be repaired and we’ve got new ways now of stimulating a new blood supply. We have a cartilage scaffold now that we can sew into a defect. So if somebody is missing part of the meniscus, we can sew in a scaffold to regrow it. If they’re missing the whole meniscus, we can put in a new donor meniscus (which we call the meniscus allograft). It is our feeling that we should do all of those things very early in a runner’s injury pattern so they don’t ever develop the arthritis that occurs from not having good joint surfaces. If they have developed already into an arthritic patient, and they still want to run, then they have got three major opportunities. One is that we have found (and which others have found) if we add anabolics to the joints (and never adding cortisone anymore), almost never, because cortisone breaks down tissue and inhibits healing. But if we add lubrication called hyaluronic acid, the natural lubricant of the joint and we add to it stem cells and growth factors (which we prefer to take from an amniotic source, meaning a woman who is doing a C-section in we get the amnion that’s loaded with growth factors) and if we add those to lubrication, we can protect joints and make arthritic joints heal so much better, for quite a long time. The data is about 30% of the world are super responders to these injections and have tremendous relief. 30%, sort of half and half. And 30% don’t respond. Unfortunately these injections don’t cure the disease. In order to cure the disease, you have to repair or replace the cartilage. And so in the arthritic knee we also have developed a number of techniques for grafting the arthritic injury and replacing the meniscus if necessary and the ligaments if necessary, in order to get that arthritic knees back to sports. We have published long-term studis showing that athletes can indeed return back to sports after cartilage or biologic repair procedures. Lastly, we have a number of patients who are runners, who are in the group of having nearly bone on bone in their knees there’s almost no space left to put in a new biologic shock absorber and there where you have a bifurcated group. So on one hand a number of patients who run centuries. They’re in their sixties and seventies, they just want to run one more, or two more or three more, and they ask me to put in the new meniscus into their arthritic knee in order to provide a shock absorber just so they can continue doing a little bit more their career. We know that it won’t last but it does provide that shock absorption. That’s one group of patients. The other group which are the real bone-on-bone patients. They have been told by their doctors to have a joint replacement, or to not run anymore. 80% of those patients who’ve been told that they need to have a full total knee replacement can get away with a partial near placement. That means that if you look at their X-rays and MRI’s, it’s almost always one side of the knee that’s worn out not the whole knee. 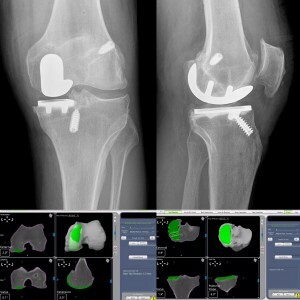 You can do a partial knee replacement using a robot now as an outpatient now. A number of our patients have returned to running and sports on these partial replacements. We don’t know if over time they’re going to wear them out faster than someone else. We think that the more active they are, the better they do. Let me explain why. For years, joint replacement surgeons told their arthritic patients “Hey, if you have a partial implant or total implant, go home and rest your knee, don’t play active sports” and so those joints often would come loose after a decade or two, and you wondered why. When we looked at the ones that came loose it’s often because the bone of people as they got older became osteoporotic. We wondered whether or not if you took patients and told them “Listen, we want you to do more exercise not less,” this might strengthen their bones, strengthen their muscles, decrease the impact on that artificial joint because the bone and muscle was so much stronger and actually have a better outcome. So that’s what we’ve been doing for the last twenty years is encouraging our patients, even if they have a partial or total knee replacement, to increase their exercise activity. We don’t tell them to go off and go running all the time because we think that peak forces from a lot of running would possibly damage the joint. However, I’ve traveled around the world and lectured in every major country and I always ask the top joint surgeons that I run into “Have you ever seen one of these come loose from sports?” Almost every surgeon tell you “Well, no.” and I say “Well, do you tell your patients to play sports?” They answer “No.” We’re just taking the approach that we shouldn’t inhibit our patients. The patients will do better if they exercise more and we found that to be true for almost every injury throughout orthopedics. So I suspect it’s probably true for arthritic patients too. Dr. Segler: It is just Wolfe’s Law, things basically get stronger in response to stress. So it certainly makes sense. But it is interesting that you talk to these top surgeons, who are well respected in the field of orthopedic surgery and they are the best people in their own communities, but who are not necessarily recommending this approach of maintaining activity with these historically very active patients. Question: If you walk a mile or you’re run a mile, which one has more force on your joints? Answer: Most would say “running does.” In fact the total amount of force is about the same and that’s because you take fewer steps when you run. The peak forces are higher when you run, especially if you run poorly. One of the really good things to teach runners whether they have a joint injury or not is the whole movement that has occurred over the last ten years of mid-foot running, short stride, soft surfaces, good running shoes, good technique. You can dramatically decrease your peak forces on your joints by doing each of those things and so it makes me realize that if I have a patient whose had a partial or total knee replacement and if they have had good technique, soft surfaces, midfoot landing, shorts strides, they’re probably not overloading their joints. They probably are doing just what you mentioned Chris, they are building their bone and they’re building their muscle by adding a little bit more force. Dr. Segler: But like you say, not all doctors offer these approaches. Not all doctors tell their patients to remain active. Not all doctors recommend a partial knee replacement instead of a total conventional knee replacement. Many of them also don’t offer what I think of as minimally invasive non-surgical alternatives. You mentioned some of those earlier in terms of the injections with hyaluronic acid and growth factors from the amniotic fluid, and they just don’t always recommend those alternatives for many reasons. But of the things I know to be true is that many physicians just don’t offer minimally invasive or non-surgical treatment simply because they don’t have experience with them. For example PRP injections and stem cell therapies are not something that every doctor will offer to patients. 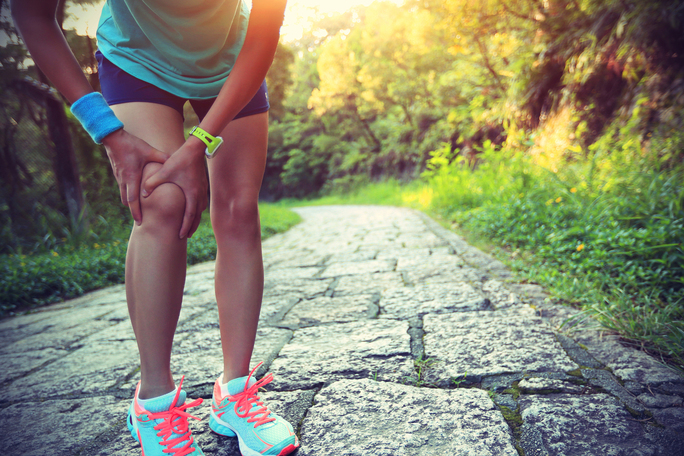 Maybe if you could just share a little bit on your thoughts of how these advanced injections like PRP or platelet rich plasma or these stem cell injections could be used to benefit runners with knee issues in particular? Dr. Stone: Yeah that’s a great question. It’s a wonderful burgeoning field right now that I call The Anabolic Era of Orthopedics. In the past, surgeons would give you cortisone injections, non-steroidal anti- inflammatories and all the drugs that shutdown inflammation. But they shut down and slow healing. By doing that unfortunately, tissues get weaker and damaged. So what has happened over the last ten years is that we have learned how to stimulate the tissues around the joint or tendon or ligament by adding a natural anabolic which is a growth factor, either from your blood. or from your bone marrow or your fat, or from now an amniotic source. What it is, is that stem cells that are perivascular cells, they live on the walls of vessels, migrate to this site of an injury and express growth factors at that site of injury which direct healing. There are certain growth factors that cause breakdown of tissues, there are growth factors that stimulate new collagen formation and there’s this wonderful concert that occurs in your body to have tissues heal properly. Those stem cells are the directors of that symphony and so you can take those cells as well as the growth factors that they expressed from different sources. We mentioned PRP is from the blood, which is one example. But it turns out today that there is a potent source of amniotic stem cells or amniotic fluid that comes from a mother at a C-section. I get two to fifty times the growth factor concentration from an amniotic source than I would from someone’s blood. Because your stem cells decline over ten thousand fold as you age, I get more stem cells from the amniotic fluid and membrane than I would from a fifty-year-old patient, for example. So I have a very potent source of stimulating healing around the joint. If you have tendonitis, if you have a overuse injury, if you have the typical things that all of our runners get, we can stimulate those tissues to heal a little faster by adding these growth factors and stem cells. If I do a cartilage repair or a ligament repair, everyone’s frustrated about how long it takes the tissues to heal. In this new era of accelerated healing we can add these growth factors and stem cells and hopefully stimulate new healing. Now, we used to think these cells turned into new cartilage. We know that doesn’t happen. We do know that the growth factors that they release are are what stimulate the healing to occur. Dr. Segler: It is fascinating. It is of course very new. Actually I was lecturing at a conference recently and was mildly criticized by another physician who said that I shouldn’t be talking about stem cell injections because they are too new. I found it interesting given that the purpose of our medical conferences is supposedly based in the sharing of new ideas with other physicians as a part of continuing medical education. Patients have to become aware. They have to research, they have to find out who actually offers these advanced therapies, because not all doctors offer the same thing. We talked a little bit about this in the beginning, the mindset around healing. Regardless of the techniques being used, the mindset is really important. Although I see injured runners all day long, I have yet to meet an athlete who seems to be really excited about an an injury, even though (as you mentioned) it can be an opportunity. Part of the problem with getting a runner heal of course is that the shift in mindset can be very difficult for them. They have this idea that they’re going to be on track for some particular event, they’ve signed up for this event and it’s hard to let go. The next event is often not a crucial event. But the whole psychology of injury tells us that we’re broken. Many doctors tell patients they are broken. They tell patients their careers are over, that they should switch activities. All of this negativity further reinforces the imploding sense of helplessness on an injured athlete. You mentioned this idea when working with high-level athletes, whether an Olympian or a professional triathlete or a professional runner and they have some significant injury and they’re likely going to have to have a surgical procedure in order fix the problem. How does your team get the athlete on board with this idea as quickly as possible? How do you get them to see themselves as an athlete moving forward, instead of a patient in convalescence? Dr. Stone: It’s a great question! Really for every athlete the answers is a little bit different. People come to the physician with their burdens, their expectations, their hopes, their fears. There is a tremendous amount of fear around every injury, not just as will it ever be as it was again, but how long would to take to heal. So many factors. One of the best things that I think our team does is listen really really well to figure out what’s your worst fear. If you ask yourself after an injury what’s your worst fear, and then figure out solutions to answer that question, to solve that, to deal with it, then all the other fears you can kind of can deal with a little bit. If you can address your worst fear and find a solution for it that works, then the injury is not so bad . What I would tell people, especially weekend warriors, are to treat themselves like a lot of pro-athletes. Take the injuries super-seriously. Block out enough time out your workday to get the things that pro-athletes get, which is great nutrition counseling, great physical therapy, great hands-on work, great mindfulness time, great cross-training, all the things that analyzes why the injury occurred, what your strength and weaknesses are…and work on those. Dr. Segler: It is difficult, but we can all do it. Even if not somebody who happens to be a professional athlete with an entire team of people, and they actually do have a day job. We can all find the time to do what is necessary to heal. We all find the time to do what is necessary to train so we should be able to find the time to do that is necessary to heal. It seems like the same thing. More than twenty years ago I tore my ACL, PCL and medial collateral knee ligaments. The surgeon who reconstructed my knee told me that I should never ever run again. In fact, he said that if I did run I would have to have a knee replacement within ten years. He didn’t suggest that as a possibility. He made it this definitive end point. Now it’s been more than twenty years, I have done 15 Ironman triathlons, and I run all the time. So today, I can clearly say that he was wrong. Yet it was a very convincing sales pitch that he gave me against running. Obviously in my case it was a myth. It wasn’t my reality. Is it myth or is it reality? Is running going ruin people’s knees, or is that just not true? Dr. Stone: Running does not hurt knees if the cartilage and surfaces and mechanics and stability are healthy. It’s just once you have an injury, you need to recover so that those surfaces are healthy, and then they can tolerate running quite well. The other thing that brings up in the story that you told is how poor we are at predicting the future for each individual patient. I have many patients who have a little bit of arthritis that absolutely never progressed and I have other patients who have just a little bit of arthritis and a year later their knees has gone to hell. The individuality of the progression of changes in people’s joints is quite large and we’re not good enough to predict that in that progression yet. I think what makes sense is that if you have an injury, repair it as soon as you can and it sounds like you got good care early on. Don’t ignore your injuries. Treat them with tissue preserving and replacing concepts. Don’t take things out. In the old days you have a torn meniscus the surgeon will take it out. If you have torn ligament, they would take it out. If you have a cartilage injury, they would scrape it off. Those days are over. If you have those injuries, repair them so that you can run forever on good tissues. Dr. Segler: You mentioned the importance of early intervention, particularly with all these new therapies that are available. You want to utilize those therapies when it can do the most good. which of course at the earliest possible phase of the recovery process. You don’t want to wait until you have run on and developing arthritic knee basically for ten years. You do not want to destroy the joint, when you might have had some minor injury that could have been successfully repaired, such as a little tiny tear in the meniscus or something like that. It would be really helpful if you could help our runners understand and what to look out for in terms of the early signs of knee trouble, which if ignored could lead to the sort of destruction of cartilage and joint damage that you talk about. What specifically should runners watch out for so that they can avoid these massive, destructive knee replacement surgeries later in life? What are the early symptoms or the signs that signal the need to seek treatment for these early meniscus tears and areas of cartilage damage that could respond well to these advanced less invasive techniques? For the big injury meaning patient says “Doc, I have twisted knee. I’ve heard a pop. My knee swelled”. Well you have a 90% chance, if those three things are in place, of having torn the meniscus tissue or the AC L and having a surgically repairable joint. Pain and swelling are not good for the knee. The swelling has degragative enzymes and it’s those enzyme can break down cartilage. Pain is a very good indicator that something’s wrong and so we really listen very carefully to folks when they say they have pain and swelling with activity to try to figure out why. Is it because there is tissue that is injured inside? Or, is it because their mechanics are off? Or, do they have over-use issues? It’s really important to think those through and make a good diagnosis. In most those of cases are not surgical. Really take the time to get the good diagnosis early on. So my answer to that is listen to your body quite carefully. Pain and swelling giving way instability, that shouldn’t happen. It’s like a car that’s out of line. If you drive it out of line long enough, the tires wear down very fast and if it’s in line, the tires can last a long time. Look at your mechanics, listen to your symptoms and just get advice early on. That’s my overwhelming advice to you. g worse, they don’t perceive it as a real problem. Yet it is a real problem and shouldn’t be ignored. I think you agree to that correct? Dr. Segler: Where can our listeners go to learn more about you and the techniques that you’ve discussed? We encourage people to send us questions. We are happy to help in anyway we can. If you’re interested in being involved in our research, we can use all the help we can get on that site to do these studies that will help all athletes avoid arthritis and come back from injuries faster. Dr. Segler: Thank you so much for taking time to share all of your experience with our runners! Dr. Stone: My pleasure, thank you.